Last week I wrote about the exciting new one on one training program that ActiveRain is offering for those who want to become a Rainmaker. Well the response has been so great that I have been very busy with those sessions. But, many have asked if I can do this as a live webinar so they can see things live as I point them out. With that being said, I am proud to announce that I will now be offering Live Webinars each week for those that are new to blogging and have not yet become a Rainmaker. These webinars will be on Monday & Wednesday every week. In the beginning there will be 3 sessions per week. Monday will host 2 webinars, one at 1PM EST and another at 6PM EST. Wednesday's session will be at 1PM EST. Each webinar is limited to only 25 seats, so the make sure you register immediately. The sessions will last aprroximately 60-90 minutes in length. Unfortunately, if you are already a Rainmaker, this class isn't for you. But, there is a great training session that Steven is offering for those that are currently a Rainmaker. Check out his full schedule here. What will be covered in the Webinar? How to Optimize Your ActiveRain Profile. Setting up Your Outside Blog. How to write effective blog posts for consumers & search engines. How to use your blog to connect with your community. Topics to write about on your blog. This is the greatest part, these webinars are only going to be $5.00 per person! But wait, theres more! The $5.00 that you spend to join these webinars is not going to go to waste. Not only will you receive a top notch training session on how to write blogs effectively to show up in the top of search engines which is worth much more than $5.00 in itself, you will also be given one full month to try out our Rainmaker Membership. That includes your posts being indexed by search engines, the ability to send those posts to Localism and also posted to your personal Outside Blog. As a final bonus, you will receive 1,000 bonus points for attending the webinar. Why do I want to be a Rainmaker? There are plenty of reasons why everyone should want to be a Rainmaker. I am going to share just a few. First, becoming a Rainmaker means that your posts will have the ability to harness the power of our 160,000+ members and the massive amount of search engine dominance that ActiveRain possesses. 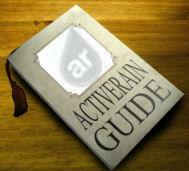 Over 75% of ActiveRain's 2 million visitors per month come directly from the search engines. Also, Rainmaker accounts consistently outrank members personal websites in searches. Our Rainmakers posts average 500 views per post. Others are receiving much more traffic (25,000 views!). Well signing up is rather simple. Simply fill out the form below with your contact information and I will send you an email confirming your session and also how to register. If you were wondering why you would want to be a Rainmaker, here are 6 reasons why everyone should be a Rainmaker. Also, here are some awesome results from a member who took my webinar: Take Rainmaker Webinar today, the #1 spot on Google 10 hours Later! Links That Will Rock Your World… Seriously. Social Media Isn't for My Age Group! Really? Some Facts to Ponder.